A small group representing persons defined as homeless, mostly Venice Beach Artists, along with members of the housed community met with Bill Rosendahl yesterday to discuss the impact of the 20+ LAPD Officers on the targeted population, encouraging effective community based solutions, reminding the representatives of the City of LA that the face of homelessness in Venice has been unfairly represented in public forums and in the media, and the ongoing campaign to “police homeless” is not nor will ever be a solution. 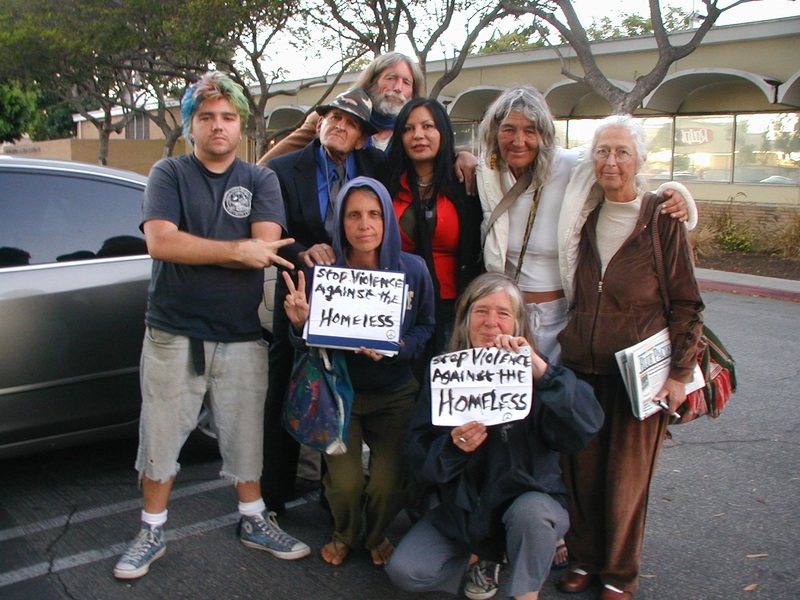 On Saturday, beginning at noon, in the Venice circle (Windward and Main) a group will join together passing through Venice hot spots, to raise awareness and bring a face to homelessness. 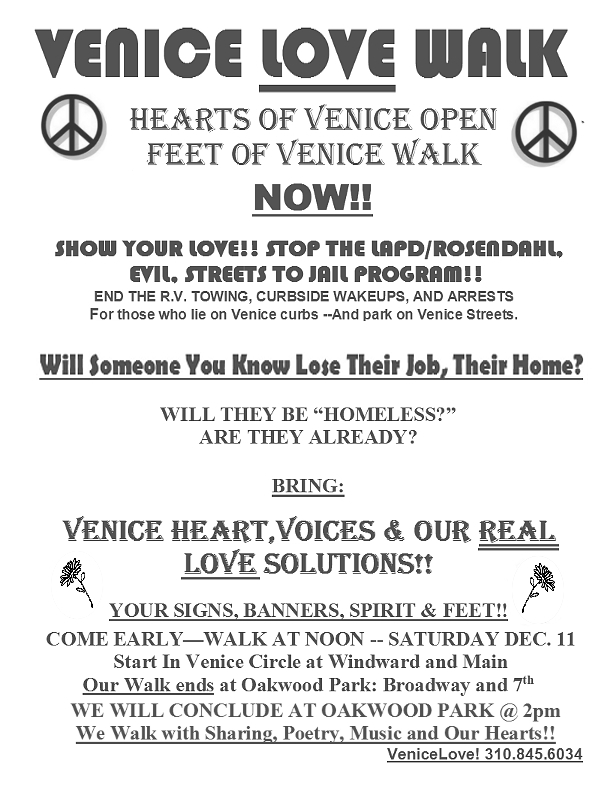 Please join in to stand united, for Venice is an inclusive community, and civil rights for every individual matters.